Published on Monday, September 12, 2016. This article appears in the August/September 2016 issue of American Craft Magazine. Desert modern architecture is a style born out of the arid landscape. The Edris House, designed by E. Stewart Williams in 1954, has a stone wall that blends into its rocky surroundings. Palm Springs is best known for its ties to Hollywood glitz. The desert city, roughly two hours from Los Angeles in the Coachella Valley, was popularized in the 1940s and ’50s by stars such as Frank Sinatra, Lucille Ball, and Dinah Shore. More than half a century later, it’s still a getaway destination for the likes of Gwen Stefani and Leonardo DiCaprio. But look beyond the glamour and it’s easy to see why this quiet desert community, nestled between Joshua Tree National Park and the Santa Rosa and San Jacinto Mountains, has been captivating artists for almost a century. Among its inspirations, the region offers intense natural light and shadow, blazing sunsets, mostly cloudless skies, and an array of desert flora and fauna. Palm Springs was originally the home of the Cahuilla people; sections of Palm Springs and several surrounding towns are now part of the Agua Caliente reservation. (The name, which means “hot water,” comes from 18th-century Spanish colonizers.) Cahuilla rock art can be found in many canyons in the area, and more art and craft is at the Agua Caliente Cultural Museum downtown. In the 1920s, Hollywood stars started coming to Palm Springs, and artists also moved in: Colony 29, now a luxury resort, was an artist community when it was founded in 1929. The town was incorporated in 1938, and the Palm Springs Desert Museum – now the Palm Springs Art Museum – was created that same year. After World War II, Palm Springs experienced a building boom, with architects such as Albert Frey, Donald Wexler, and Richard Neutra creating hundreds of classic modernist homes for celebrity clients. Known as desert modernism, their style is characterized by glass, clean lines, natural and industrial materials, and a seamless blend of outdoor and indoor spaces. 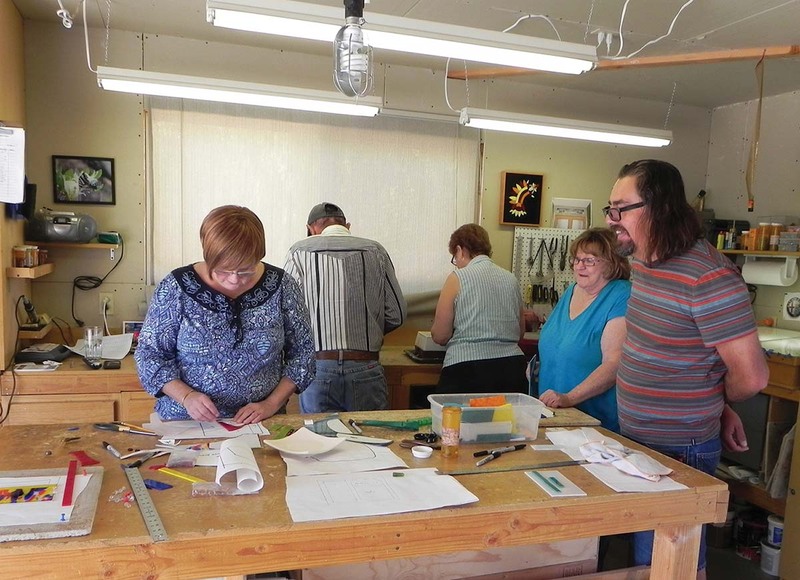 This architectural innovation drew other creative folk, and the nonprofit Desert Art Center was founded in 1950 to support local artists with classes and other resources. Now Palm Springs is the artistic heart of the Coachella Valley, which comprises several towns where artists live, including nonagenarian Peggy Vermeer, best-known for her assemblages of found objects, and Steve Webster, a furniture maker and sculptor who creates massive outdoor pieces from metal and wood. The area is well known for the Coachella Valley Music and Arts Festival, founded in 1999, and also for Modernism Week, which draws about 60,000 visitors each February for parties, tours, lectures, film screenings, and a high-end 20th-century decorative and fine arts sale. The event coincides with Art Palm Springs, which brings together galleries from around the world. The intersection of art, modernist architecture, and design has made Palm Springs a natural meeting place for creative people in the area. “The artists who work in the desert have a deep connection to the environment and landscape that gives them a sense of freedom and imagination in their projects,” says Lisa Vossler Smith, executive director of Modernism Week. The Palm Springs Art Museum has three different venues in the Coachella Valley, and its downtown location includes the Kaplan/Ostergaard Glass Center, where you’ll find work by glass masters such as Lino Tagliapietra, Nicole Chesney, and Therman Statom. You’ll also find a bright yellow wall installation along the museum’s stairwell by Palm Springs artist Jim Isermann, known for his colorful textile sculptures, weavings, and stained glass. Head a few blocks east to Palm Canyon Drive, downtown Palm Springs’ main drag, where there are many galleries to explore. Just north is the eponymous gallery of Elena Bulatova, which has several locations. Born in Russia, Palm Springs resident Bulatova specializes in mixed-media painting and metal sculpture. Her business partner, Israelborn Efi Mashiah, uses screws to make three-dimensional, pixelated paintings. Also on view are recycled-metal sculptures, reminiscent of Transformer toys, by the artist known as Mr. Santo. Keep heading north and you’ll find Flow Modern, a shop that mixes midcentury furniture and décor with paintings, photographs, and Hovel’s sculptures. On the next block north is Christopher Anthony Ltd., a favorite shop for interior designers that features ceramic pieces by California artists such as Darcy Badiali, Titia Estes, and Jeremy Gercke. Less than a mile to the east, not too far from the Twin Palms estate Frank Sinatra once owned, is a sculpture park in the yard of artist Kenny Irwin Jr.’s childhood home, which he opens to the public by appointment. You can’t miss the manic, brightly colored robot sculptures – one stands 50 feet – which Irwin made by gluing together found objects, including junked electronics. To see more of handmade Palm Springs, take a 20-minute drive southeast to the Backstreet Art District, a complex of shops and galleries that hosts an Art Walk on the first Wednesday of each month. Elena Bulatova’s second Palm Springs gallery is located here. A few steps away, Maxson Art Studio and Gallery showcases Linda Maxson’s paintings and ceramic tile murals, metal clay jewelry by Kelle Bates and Ron Taylor, Kathy Doolittle’s decorative gourds, made using paper appliqué and wood-burning techniques, and her husband Mark’s meticulously planned carved-gourd sculptures, inspired by cellular structures in nature. (He has a PhD in biology.) At the Studio, a custom design and printing shop, customers can browse handmade papers and books with hand-stitched bindings. Leena and Joseph Pilcher opened Leena Joseph Art gallery a few years ago, after decades-long artistic careers. 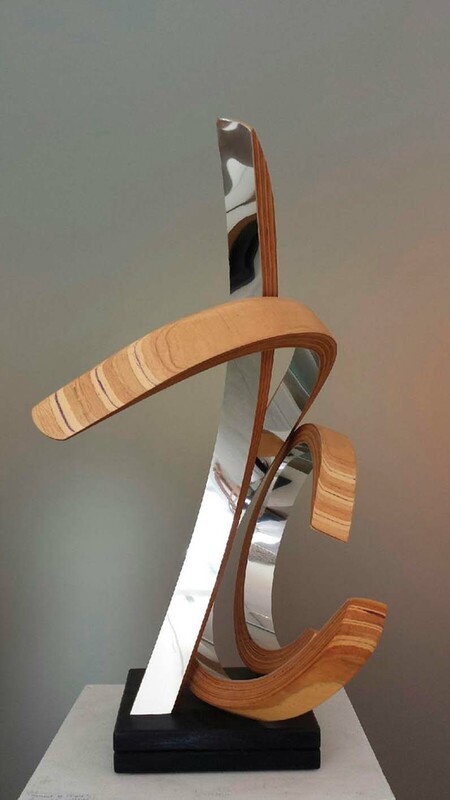 Joseph works with various kinds of laminated wood; he bends and twists it into sculptures that evoke the flight paths he flew as a US Army pilot during the Vietnam War. Leena, originally from Finland, makes mixed-media paintings, often by layering canvas cut from previous paintings. 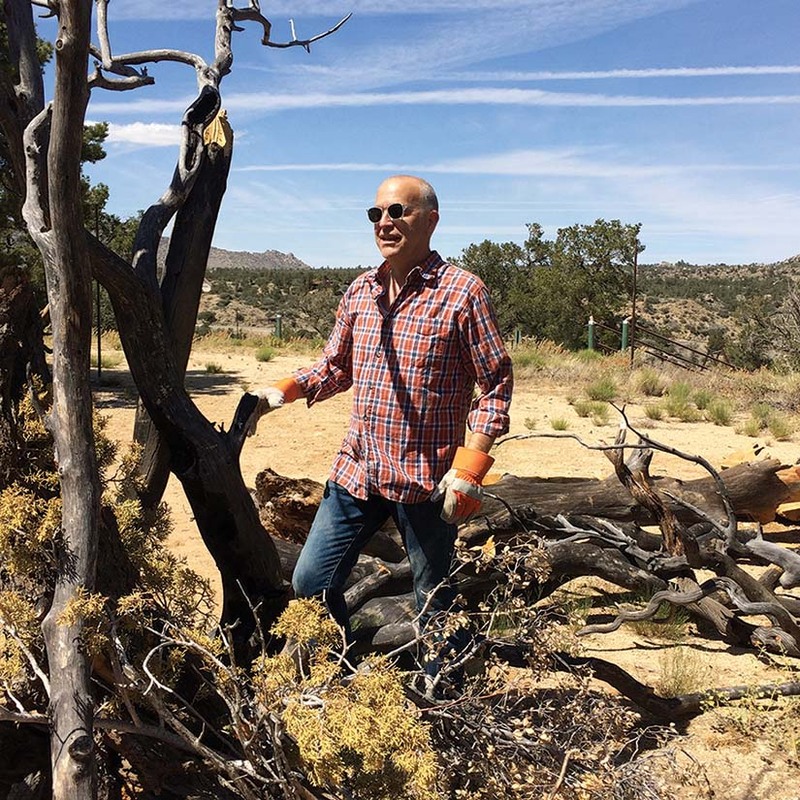 “Nature is right there,” Joseph says, pointing to the mountains across the street from his studio and gallery. His army pension helps offset the cost of living in Palm Springs; it would be difficult for artists to live only off their artistic work here, he says. Go farther into the desert, and you’ll find even more artists at work. Richard Hovel and his wife, Debra, who makes ornate and colorful shoes, found an abandoned Elks lodge in the San Bernardino National Forest and rehabbed the building themselves, along with four friends including Kurt Cyr, an interior designer who prints his own fabric, and ceramist Jim Abele (also a character actor, best known for his recurring role on the Pretty Little Liars TV show). The friends even built all the furniture in the 3,500- square-foot space, which opened in 2015. Named Makerville, it’s meant to be both a studio for the artists and a creative-community gathering space; the group hosts workshops and other events. Cyr and his partner Jay Zaltzman, another Makerville founder, are also the brains behind Salon for the Parched, a monthly gathering with a following of more than 500. The event convenes creative folk for cocktails and a TED-style presentation; topics have ranged from green burial, disappearing hobbies, craft beer brewing, and synesthesia. “There’s a stereotype that Palm Springs is for people who are retired or realtors. But there are so many creative thinkers here,” Zaltzman says. Weekend visitors from Los Angeles, San Francisco, and even Seattle are a key part of that contingent. Neighboring creative communities, such as the tiny mountain town of Idyllwild, home to a boarding school for the arts, also play a part, as do regional events such as the Desert Arts Festival and Highway 62 Open Studio Art Tours. Located in an idyllic mountain setting, Idyllwild Arts Academy attracts students from all over the world. 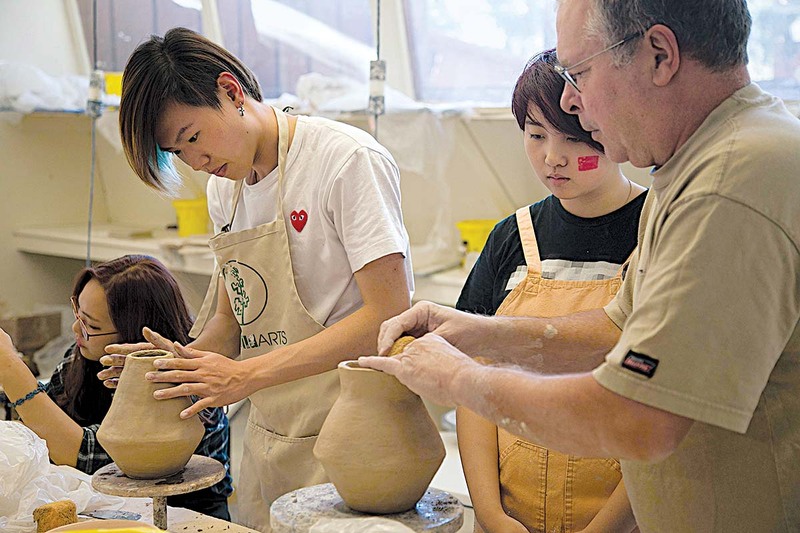 For more than 60 years, this college preparatory school has trained thousands of artists. Students work with fused glass at the Desert Art Center. This downtown Palm Springs gallery and school nurtures creativity in the community by hosting juried shows, plein air painting events, and art fairs. The annual Desert Arts Festival in downtown Palm Springs features artists working in clay, glass, metal, and stone. 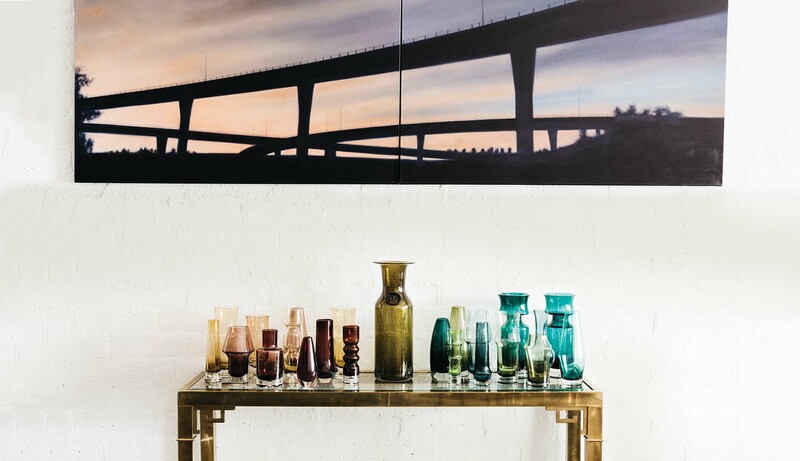 At Flow Modern, 1960s Scandinavian and Italian glassware shines on a 1970s brass and glass Mastercraft console. The shop sells both vintage and contemporary finds. 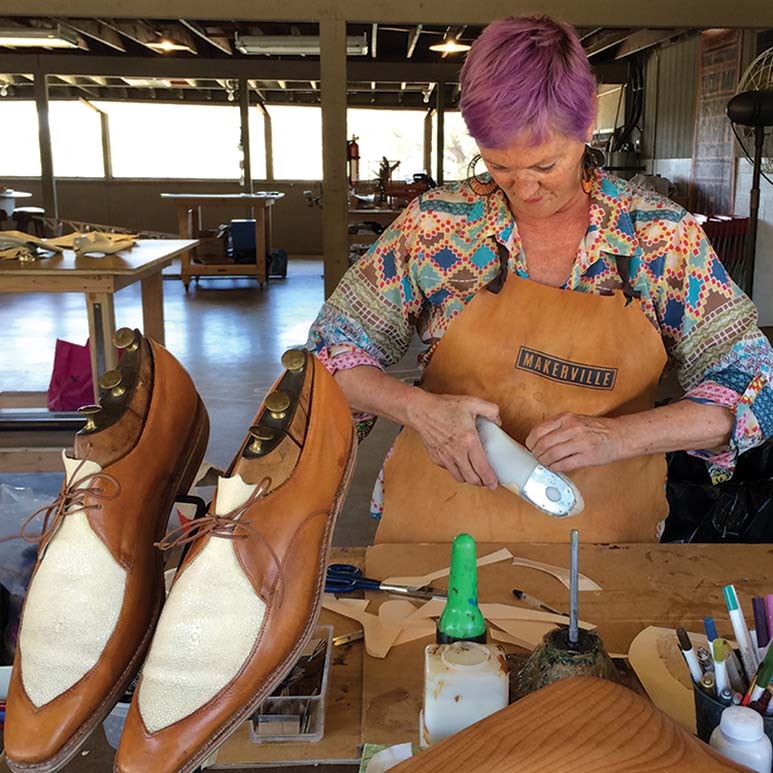 Shoemaker Debra Hovel is one of six friends who renovated an abandoned Elks lodge into studios and a creative gathering space called Makerville. The group hosts workshops and more. At Makerville, Richard Hovel, Debra Hovel’s husband, searches the landscape for sculpture materials. The artist is known for his assemblages. Elena Bulatova Fine Art has two locations in Palm Springs. 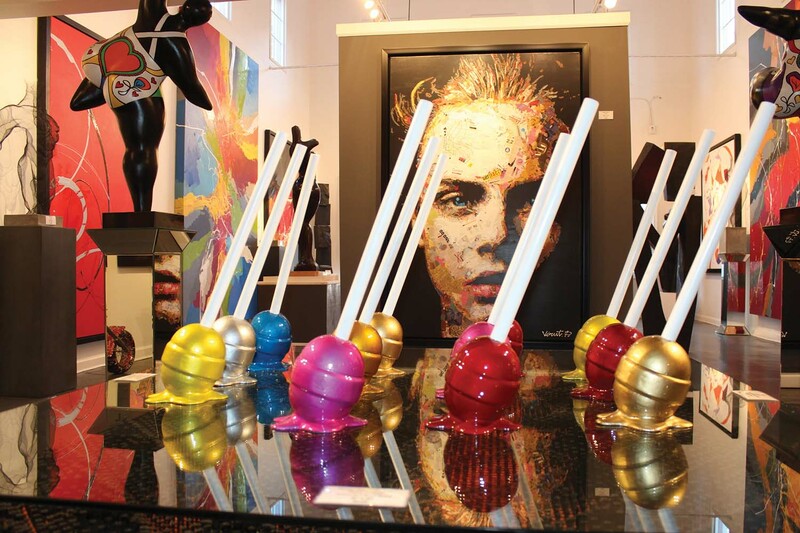 The gallery specializes in playful work such as Bulatova’s Lollipops (2016) from her Sweet Life series. 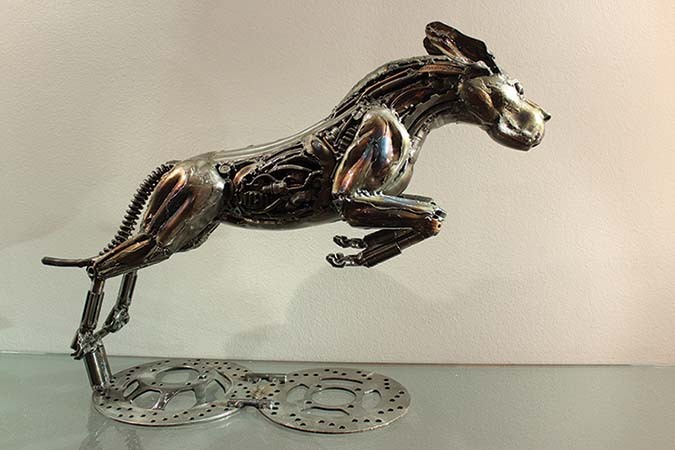 Mr. Santo’s Flying Dog (2015), made of recycled metal. 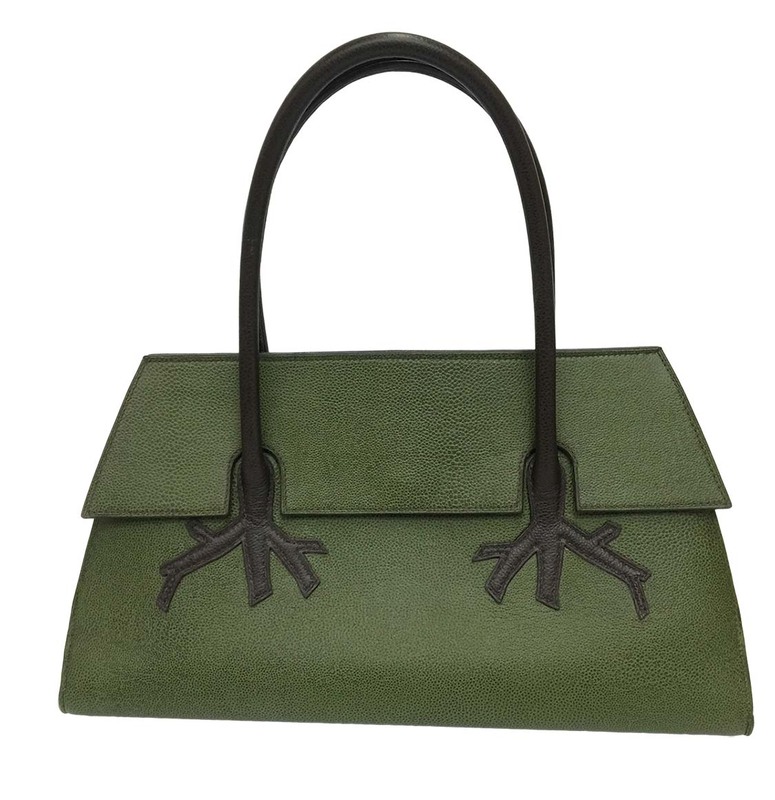 At the Backstreet Art District, Heather Wood creates and sells handmade leather bags like this one-of-a-kind Roots and Branches purse (2014). A former US Army pilot, Joseph Pilcher creates sculptures evocative of flight paths; his wife, Leena, makes mixed-media paintings. Their gallery is among several in the Backstreet Art District. 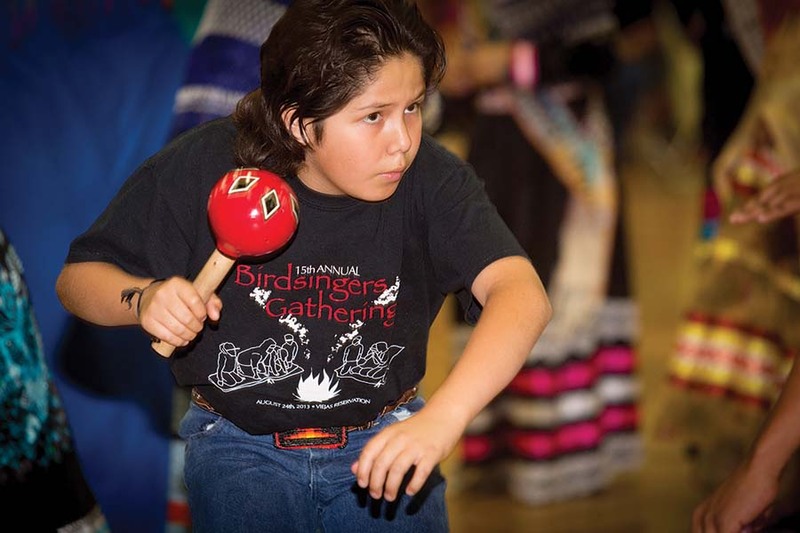 The Bird Song and Dance Festival, presented by the Agua Caliente Cultural Museum. The museum showcases the art and history of the local band of Cahuilla people, the area’s first residents. 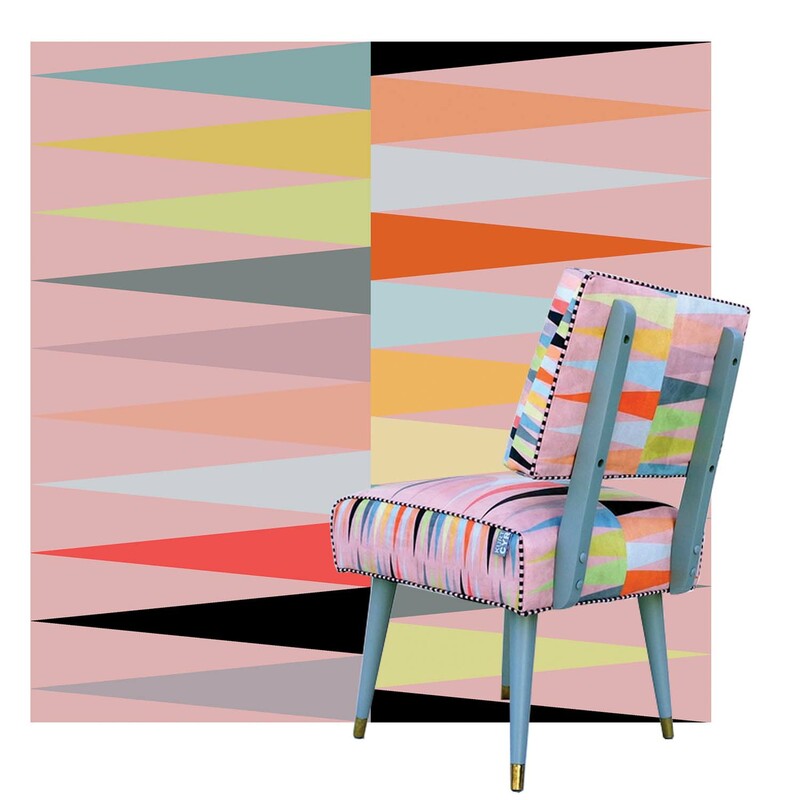 Textile designer Kurt Cyr’s Backgammon fabric reinterprets the classic board game on Ultrasuede. Cyr is a co-founder of the nearby Makerville studio and leads creative gatherings under the moniker Salon for the Parched. 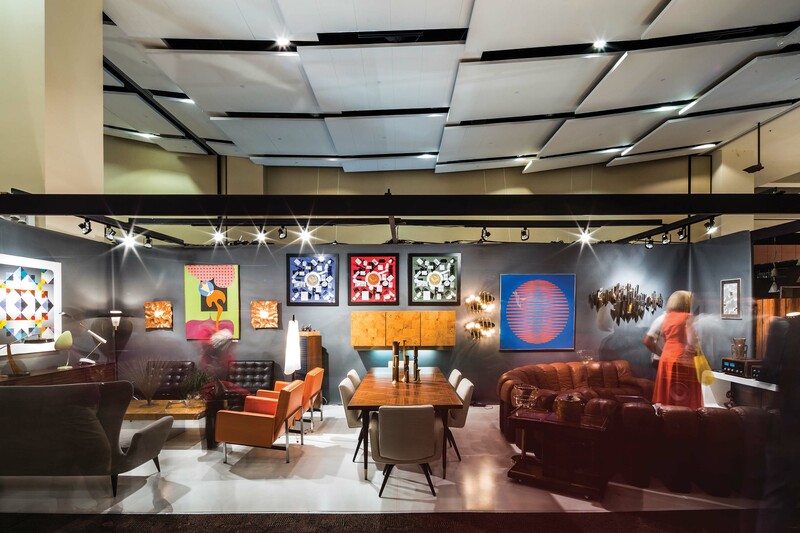 Every year, Modernism Week draws about 60,000 visitors to Palm Springs. 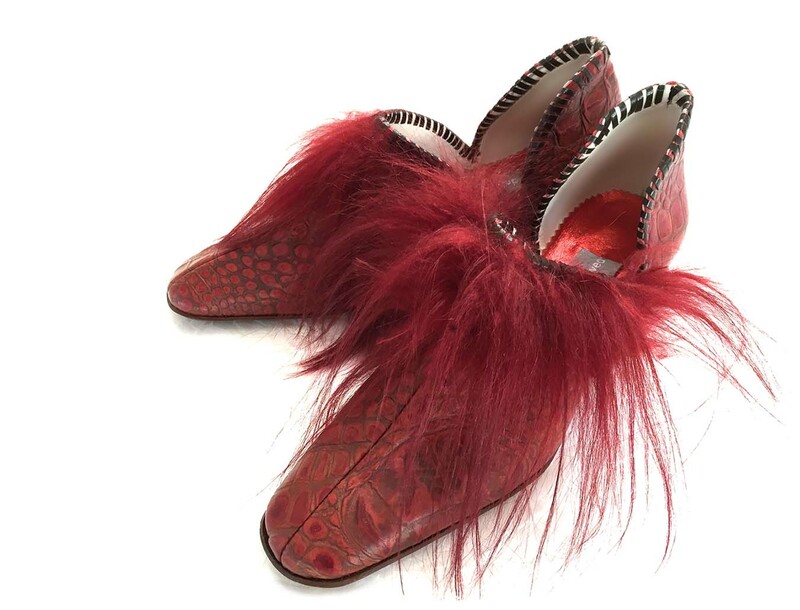 The events include a high-end 20th-century decorative and fine arts sale. 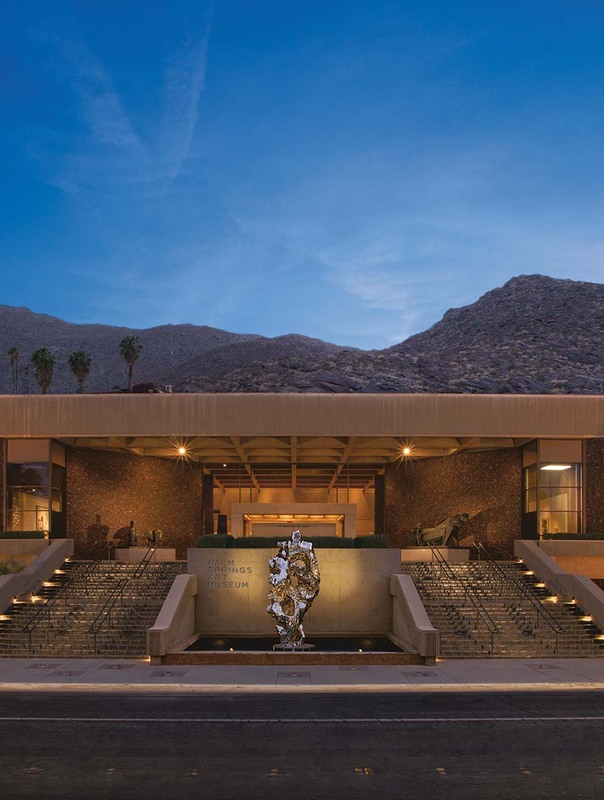 Visit the Palm Springs Art Museum for stunning views of the San Jacinto Mountains and the Kaplan/Ostergaard Glass Center. 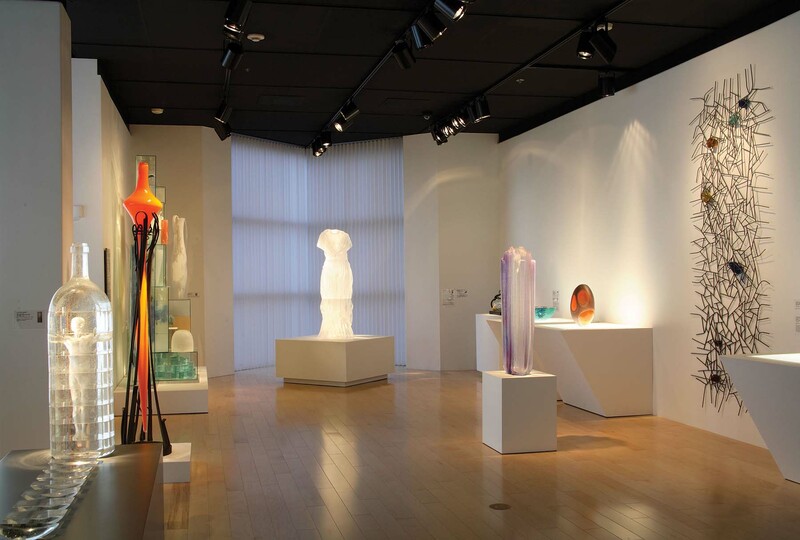 Its permanent collection includes work by renowned makers Dale Chihuly, Daniel Clayman, Seth Randal, and Michael Petry. 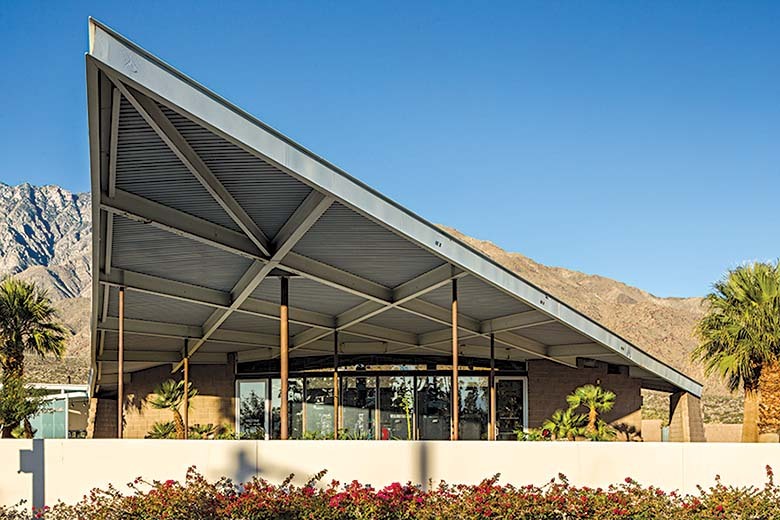 The Palm Springs Visitors Center began life as a gas station that greeted visitors as they drove south to Palm Springs. The 1965 building was designed by Albert Frey and Robson C. Chambers.